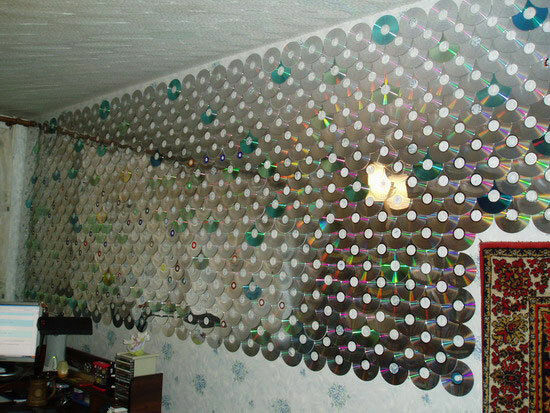 Yeah, yeah, “they” say CDs are a thing of the past. Fair enough. Everyone’s entitled to an opinion. But let’s get real. Lots of us still warehouse sprawling compact disc collections. And lots of us don’t like acting as babysitter. 1) Make an ornament. No tree is complete without a little sparkle. 2) Use as a coaster. One can never have enough coasters. 3) Make a disco ball. Bring.back.disco.fever. 4) Use as a compact mirror. Beauty is everything. 5) Make a Murf-wolf. They are the coolest species ever. 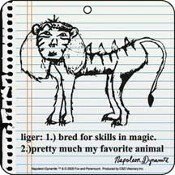 Since the liger, that is. 6) Use as a frisbee. Face it, you were never that accurate anyway. 7) Make a suncatcher. Way more classy than a mother of pearl one. 8) Use as a shuffleboard disc. Don’t try this on a cruise ship. Unofficial shuffleboard equipment judged…harshly. 9) Make wallpaper. I don’t have a good reason. My bad. 10) Use as a driveway reflector. Impress your neighbors with unparalleled creativity. Of course, you can always just send ’em to Murfie.